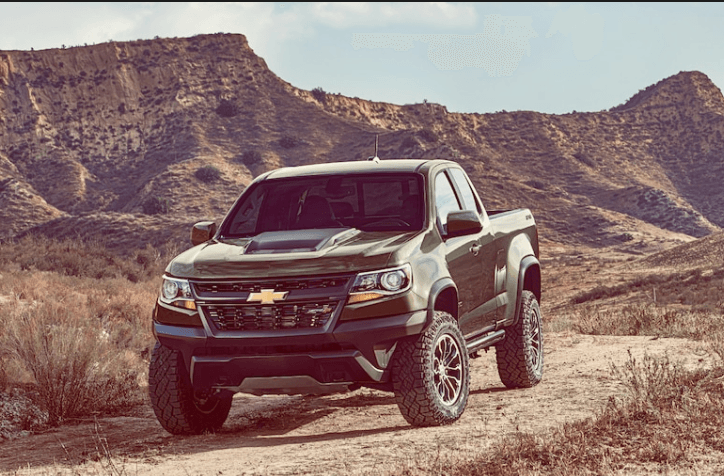 Chevrolet is poised for another innovative year in 2018 – the bowtie crowd can expect more in the way of Chevy’s classic, rugged pickup aesthetic and its racy Ferrari-eating Corvette, while the brand also makes room for its new-school variety of enviro-friendly turbo-diesel and electric vehicle offerings. The new year is always an exciting time for auto manufacturers and car-people. We’re finally able to see and experience new announcements, new test-drives, and get the low-down on new and exciting features and concepts. In this post, we’ll tally up the 4 new Chevrolet vehicles we’re excited about in 2018. More size than the ever-popular Equinox, and more aggressive looking than any mini-van, the 2018 Chevy Traverse is a family-hauler and adventure-finder that places emphasis on safety, efficiency, and as much cargo space as you could ever possibly wish for. 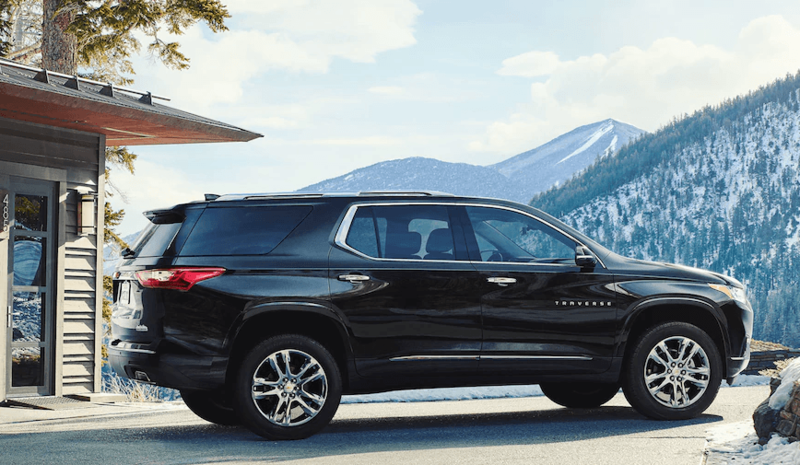 The redesigned Traverse offers seating for up to 8 people, best in class cargo storage space at a whopping 98.2 cubic feet, available dual SkyScape 2-panel sunroof, Teen Driver technology, and Smart Slide second-row seats. Further, the Traverse is a champion of safety, fetching an overall 5-star vehicle score from the National Highway Traffic Safety Administration. Capability is a no-brainer for the Traverse, able to tow and haul up to 5,000 pounds thanks to its standard 3.6L V6 engine producing 335 horsepower, and equipped with an advanced twin-clutch all-wheel-drive system with traction mode selection (High Country model only). For those looking to maximize efficiency and exhilaration, look no further than the Traverses’ intelligent start/stop technology, helping boost fuel economy in the city, and its available 2.0L turbocharged 4-cylinder engine producing 275 horsepower (RS model only). Environmental consciousness is on everyone’s mind lately – and rightfully so. 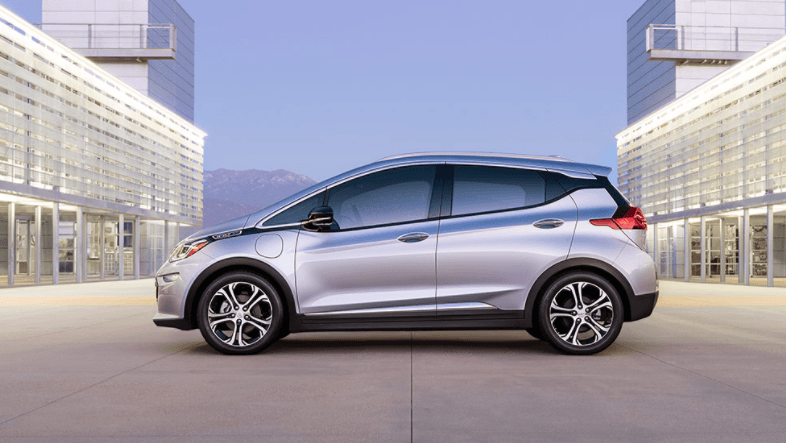 The big dogs at Chevrolet heard loud and clear, and optimized their EV technology into the Bolt EV – a wildly impressive subcompact package capable of 383 km of a single charge. Consider for a moment that the average Canadian daily commute is 64 km round-trip, and you’ve got the extra distance to get yourself away for the weekend without having to worry about finding a charge station. Did we mention electric power delivers all its grunt directly from idle? The 240-volt/32 amp charging unit equates to a staggering 266 lb/ft of torque, propelling the unassuming little hatchback to 96 km/hr in 6.5 seconds – nearly matching the acceleration of the Mazda Miata MX-5. Innovative features like one-pedal driving that used deceleration tech to recharge the battery when not under acceleration, as well as the electronic precision shift gear selector that makes assuming highway speeds silky smooth, and you’ve got a recipe for efficient, Eco-friendly success. Equipped with three available engine variations including the GM-exclusive 2.8L turbo-diesel engine, the Chevrolet Colorado offers many best-in-class specifications like maximum horsepower (308) with the standard 3.6L V6, and best in class towing/hauling rated at 7,700 pounds with the diesel engine. The Colorado is also the most fuel-efficient pickup truck in North America. This legacy of superiority has helped the Chevy Colorado achieve a level of prestige built on dependability and innovation. Of note, the ZR2 package takes the standard Colorado and turns it into a trail-eating off road beast, equipped with a segment exclusive Multimatic DSSV damping system, 31-inch tires, segment-exclusive front and rear locking differentials, an autotrac transfer case, and purpose-built off-road suspension coupled to a 90mm wider track for better stability. The track-bred Corvette Z06 is on our list of exciting Chevy’s for 2018 not just for its widespread appeal and its racy looks – but for what it represents, and what it did to the sports car world – turned it on its head. 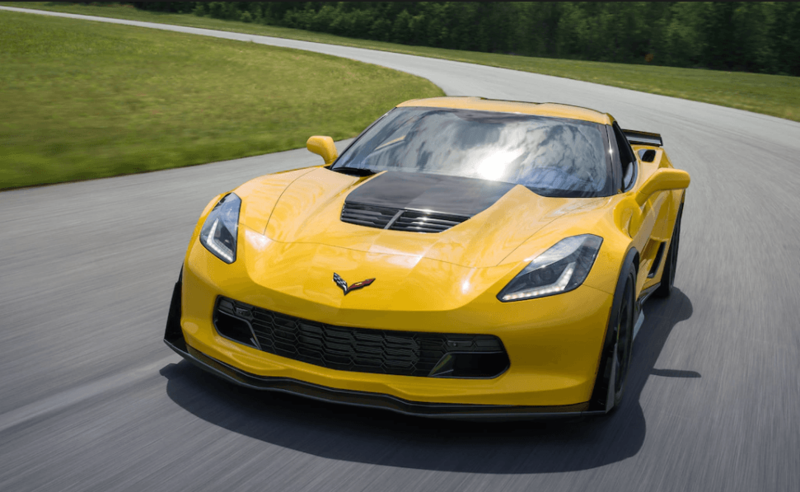 The 2018 Z06 was developed in tandem with the C7.R race car and packs a supercharged LT4 6.2L V8 under the hood that develops a formidable 650 horsepower and 650 pound-feet of neck-snapping torque paired to a 7-speed manual transmission – that helps the trim 1,624 kilogram vehicle reach 96 km/hr in 2.95 seconds. In conjunction with the C7.R, the Z06 shares a carbon fibre roof and hood, titanium intake valves, composite floor panels, dry-sump oil system, and a hydroformed aluminum frame. The Z06 also features a few features that don’t seem to match its price point – like Brembo carbon-ceramic brakes, magnetic ride control, available 8-speed paddle shift transmission, and three different functional aerodynamic packages to maximize grip and downforce. Perhaps most interestingly, is that this fire-breathing powerplant can achieve a modest fuel efficiency rating of 10.6L/100 km highway.